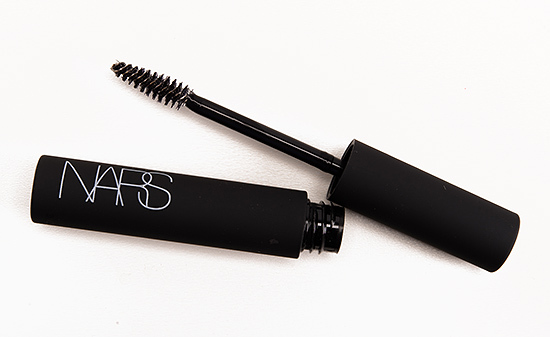 NARS Brow Gel ($22.00 for 0.21 fl. oz.) is described as a “glossy, easy gliding gel to tame, tidy, and groom eyebrows.” It’s available in four shades Oural (clear), Athens (blonde), Piraeus (medium brown), and Kinshasa (dark brown). 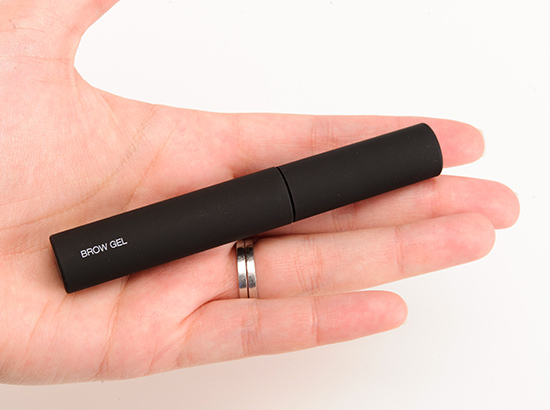 The brow gel is housed in a matte black tube (much like mascara), and it comes with a spoolie-wand for applying. Athens is a light-medium brown with subtle yellow undertones. 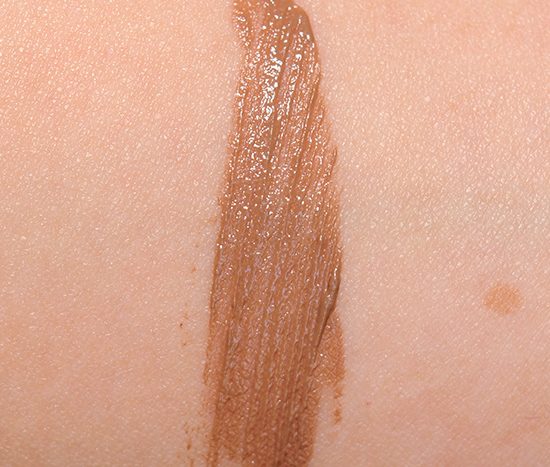 Piraeus is a light-medium brow with subtle yellow undertones. I really couldn’t tell much of a difference between this and Athens. I initially thought I had received two of the same shade, but the labels showed they were two different shades. Piraeus is slightly darker, not as quite as yellow-toned–but they are very close. The only one I liked and would consider using was Oural, which is clear. The consistency is slightly thick, takes about a minute or two to dry and set, and then it helps keep brows in place for eight hours or so. 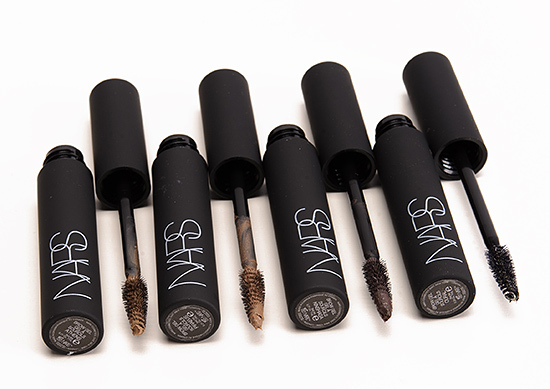 The problem I had with the colored shades was that there is way too much product in a single pull of the wand. 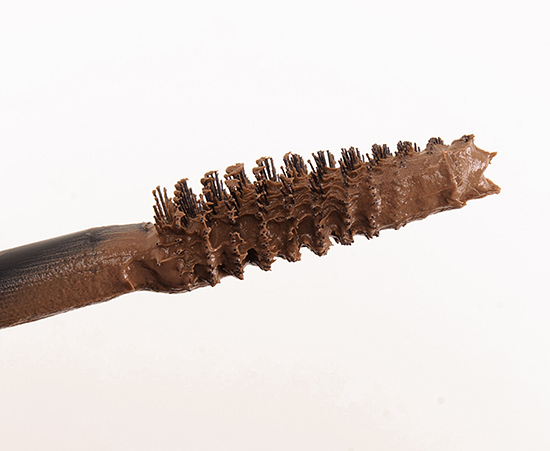 There is so much product that you could be doing about twenty people’s brows with what is on the brush, so there is a large margin for error as you try to wipe the wand against the rim of the tube to avoid over-applying. 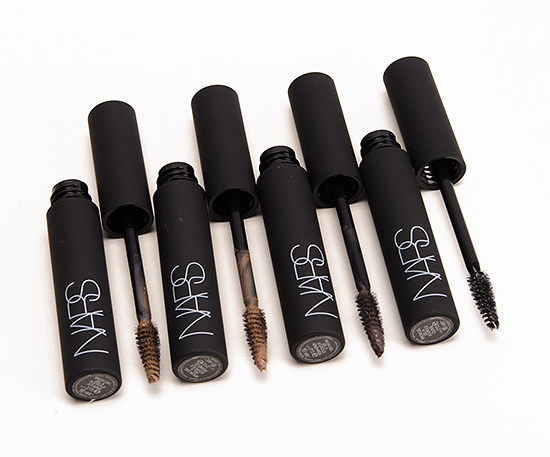 It’s a very unforgiving product if you over-apply, because it leads to crunchy brows, stray marks all over the place, and it’s difficult to blend once it sets, so it really necessitates complete removal. You want a pigmented formula, but you don’t it to be delivered in a way that’s wasteful or makes it so difficult to use. I had the best luck taking a clean spoolie brush and lightly running it against NARS’ wand, and then applying using my separate spoolie brush to get cleaner, even results. I think the color range is disappointing; Kinshasa is not going to be dark enough for black-brown or black brows, and Athens and Piraeus are far too similar for a range with only three colors. I’ve been using Oural on and off, and I like that it doesn’t leave my brows crunchy, but the hairs still stay in place throughout the day. I haven’t tried enough brow gels to affirmatively say it’s the best one on the market (the only other one I’ve used with consistency is MAC’s, which I also like). 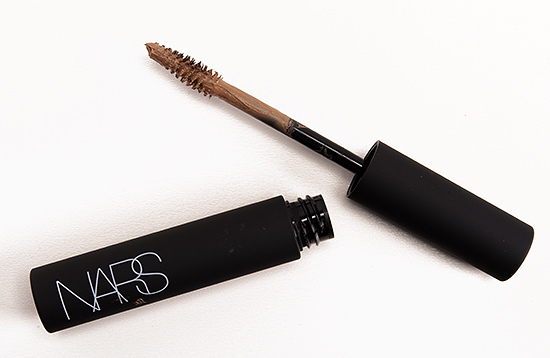 NARS Brow Gel $22.00/0.21 OZ. Skip. I actually must use brow gel, as my eyebrows are white blonde and dont show on my face. 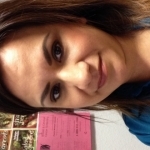 I use Anastasia Tinted Brow Gel in Caramel, and its pretty amazing. I have tried brow powders, other gels, etc, but I keep coming back to Anastasia. You should check it out! Anastasia is the Queen of brows! Brow gel is always my final touch as it adds definition and texture to my sparse brows..especially the super thin ones closest to my nose. I currently use a Bobbi Brown product which is quite good. I do prefer coloured gels over clear. I’m not certain I will give the NARS version a go as I do not see a suitable shade–my brows are ashy dark brown–in their range. I tend to prefer powder over gel because gel just colors the hairs but doesn’t fill in any gaps. 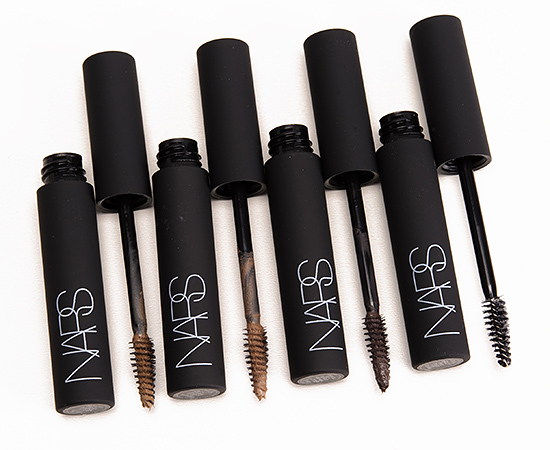 My brows are already black, so what I really need is something to fill in the sparse spots. I love brow gel, but I’m still not sure with these. Maybe they’ll come out with more colors if people respond well to these. None of these colors would work for me, but I’d definitely be interested in a colored brow gel. I’ve never tried one before. I always use a pencil (I’ve used powders before and like the effect better than pencils, but pencils are faster, so I tend to revert to them.) But my brows are very light blonde and sparse. I’d like to try a really light ashy blonde brow gel to color the actual hairs, not just the skin underneath them! I prefer pencils ( Laura Mercier) over other types of brow color. I only have half brows so I can’t fill in the ends otherwise. I like that brand because the color is pefect for me and the pencil is not too hard like many. Hey Christine! I was wondering if you were going to review UD’s brow box? I hope you have a lovely day! Ok, so maybe I need to get with it! I have never used a brow gel on myself, only ever used powder or pencil.